The midsole? The tongue? Eva? What does this all mean? If you are serious about learning all about running shoes jargon and anatomy, then you are in the right place. Here is the basic premise: understand basic shoe anatomy, and you’ll increase your chances of buying the right pair that meets your physiological needs and personal preference. Runners have a language all on their own. You can call it Runnerlese, Runnerlish, or Runnerilian, whatever… And in contrast to, let’ say, German or Japanese, the language of running is not difficult to pick up. 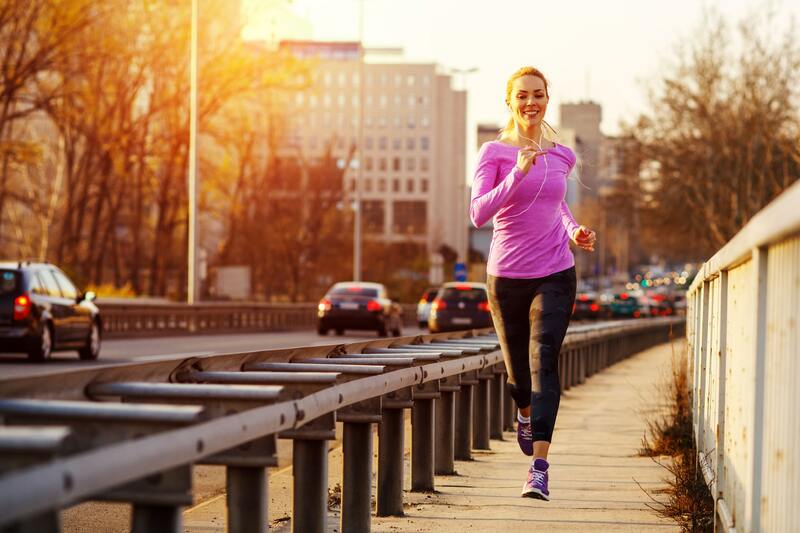 In a previous post, I shared with my dear readers an exhaustive list of the most common terms runners—from all levels and training backgrounds—use to talk about and refer to their running experience. You can check that post here. But today, dear reader, I decided to narrow my focus and talk about your shoes and their many components and parts. Think of this post as a useful follow-up to my earlier piece The Complete Runners Lexicon. Go through both these posts, and never be left in the dark, running-wise, ever again. Running shoes are made to optimize training performance, and make training as safe and comfortable as possible. 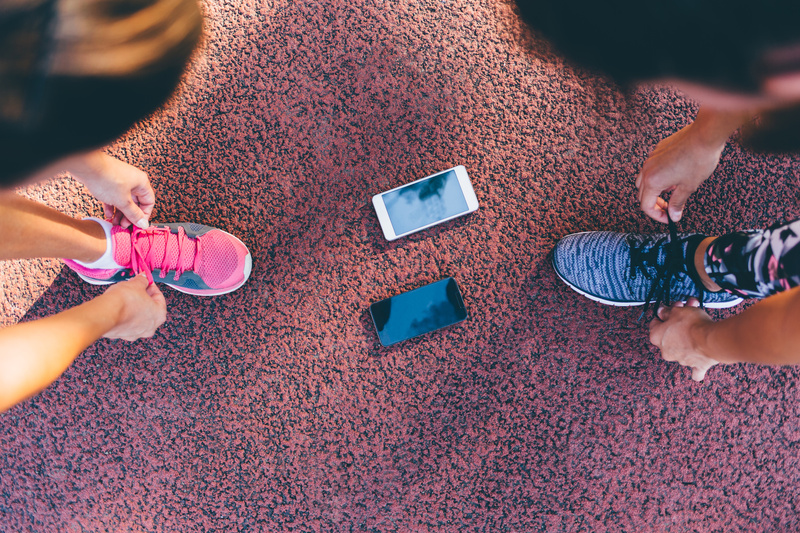 There is a vast array of technical features to a pair of running shoes—and the terminology can scare off even the most well-intentioned and serious and smart beginners. But worry no more. I got you covered, buddy. Today I will spill the beans on running shoe anatomy. I’ll break down some of the must-terms you should understand that should shed more light on the features and structure of a given running shoe. In Essence, I’ll walk you through each part—what it is and why should you care—layer by layer, starting with the upper. Are you excited? Then here we go. 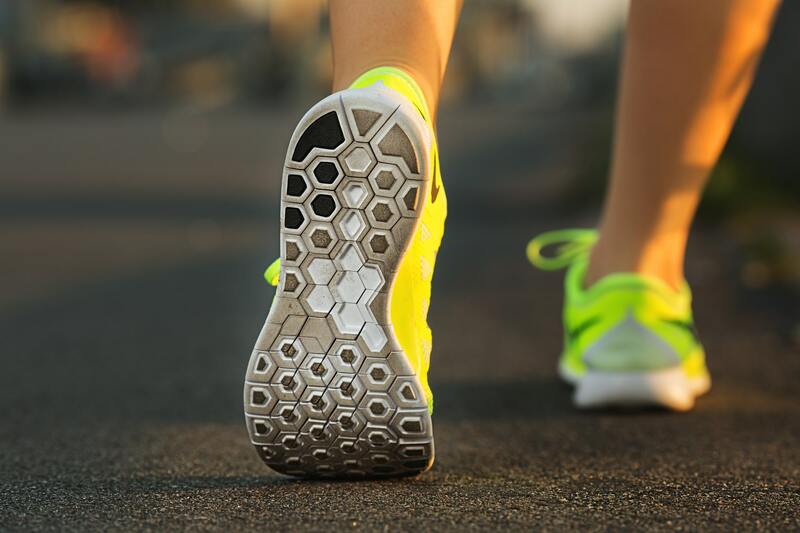 In general, a running shoe is made of seven main parts: the upper, the midsole, the outsole, the tongue of the shoe, the heel counter, the toe box, and the last. 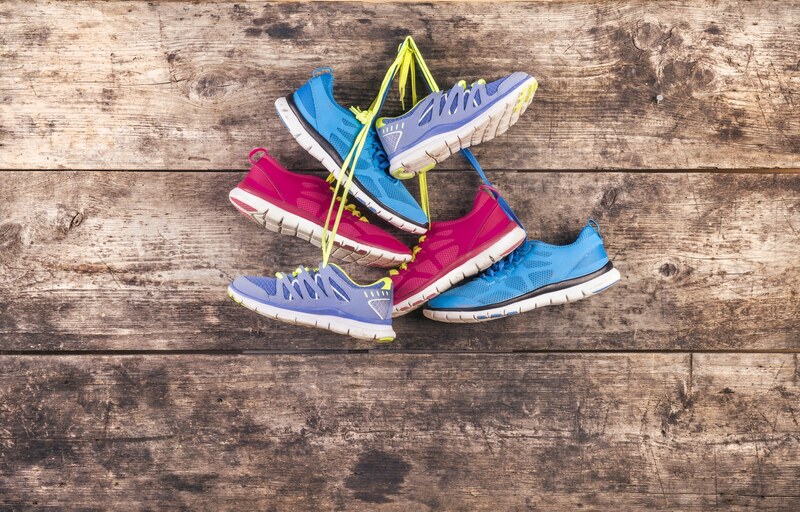 Each portion of shoe serves a particular function and has distinct features and properties that you need to be aware of to make the right running shoe buying decision. Just don’t feel overwhelmed by any of this. 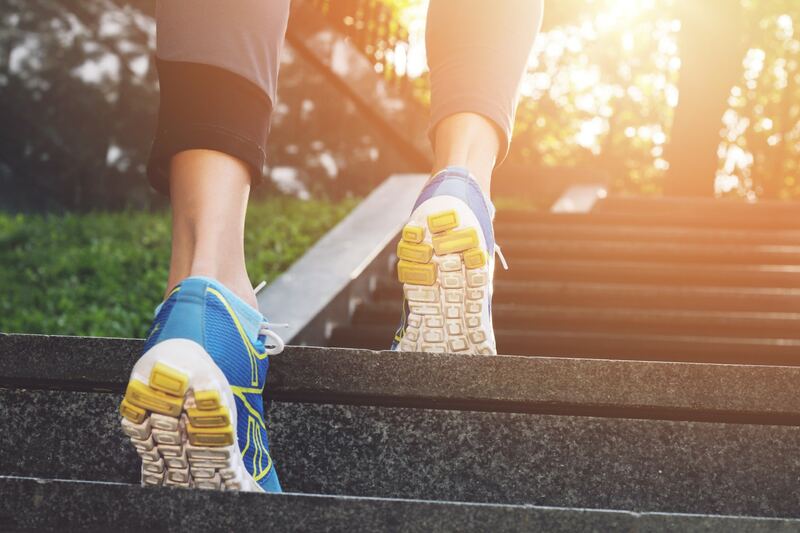 In this post, I’ll examine each component and give you practical advice on what to look for when purchasing your next pair of running shoes. Held together by the laces is the upper, which is the portion of the shoe above the midsole that encloses the foot, keeping the shoe in place, and protecting against dirt, rocks, and the elements. The upper is typically made from a variety of materials, including mesh for breathability, synthetic leather for durability, or knits for a smooth, chafe-free feel. When choosing a shoe, make sure the upper must fit well with the shape and size of your feet. This can provide your feet with more stability over the long run. Underneath the shoe laces, you’ll find the tongue of the shoe. This is the part of the shoe sticking out like a human tongue from the opening of the shoe, hence the name. The tongue is the separate strip on the upper that protect the top of the feet from the pressure of the laces, preventing them from rubbing against the instep of the feet. The tongue also makes it easier to put the shoes on and take them off. A proper tongue should be of an appropriate size that it does not rub against the foot just above the ankles and thick enough (or well-padded) to protect the top of the feet against pressure from the laces. Shoe manufacturers use the tongue to meet various needs, too. For instance, trail shoe tongues are stitched to protect against the elements. So, keep that in mind whenever you’re assessing the suitability of a given pair of shoes. On the back of the shoe, you’ll find the heel counter, which is the exoskeleton of inflexible materials that wraps around and surrounds the heel. This stiff structure around the heel reduces Achilles tendon irritation, provides a more secure heel fit, excellent cushioning, and rotational control. The heel counter is made of stiff materials that protect against the impact forces that the feet experience while running. The last refers to the three-dimensional, foot-shaped mold that determines the outline of the shoe. Think of it as the foot model over which a shoe is assembled. Lasts can be straight, curved, or semi-curved. According to theory, some lasts are best suited for a particular feet anatomical structure. A straight last tends to be heavier, providing more support under the arch, which might help control excessive the inward collapsing motion following a foot strike. 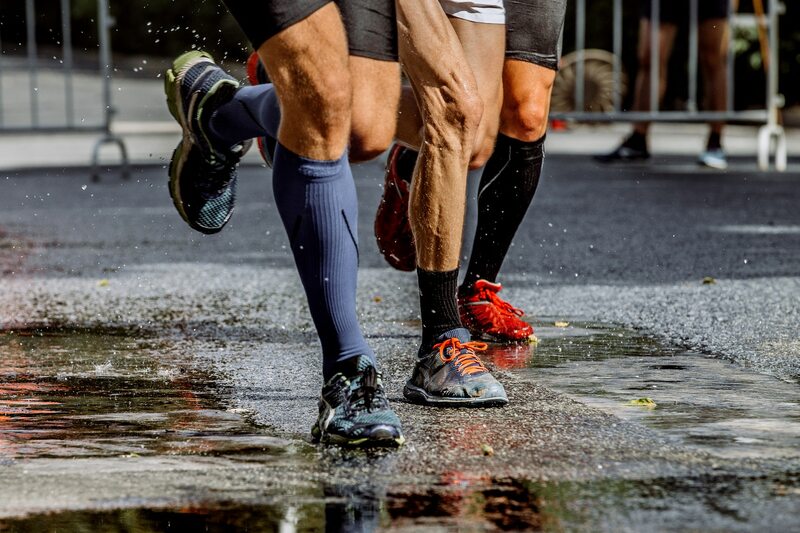 That’s why they are often recommended overpronators—mostly runners with flat feet. A Curved last is lighter and less supportive. Thus, they are usually recommended for supinators—typically runners with very high arches. Semi-curved last is a hybrid of the two—not quite as thick as the straight type but still offer ample support under the arch. Most running shoes out there are made with semi-curved last, but, and as a rule of thumb, the last has to match the shape of your foot. This provides better pronation control and greater comfort. The toe box is the front platform of your shoes that houses your toes—the space that fits around the widest part of the toes and feet. And by far, the toe box is the most important ingredient in finding a good fit. A running pair should fit like a glove, with no sense of cramming or constraining in the toe box. The toes should not touch the inside front of the shoes, and the feet should not feel clasped at all. If the toe box is too tight, or the toes do not have enough room between your longest toe and the front of the toe box, it can affect the mechanics of your movement, leading to black toenails, discomfort, and hindered performance. When fitting a shoe, make sure you have enough room to comfortably fit your toes. The toe box should have sufficient space to allow the toes to wiggle freely, and for the feet to swell while running. In essence, you should be able to play the piano with your toes. Ideally, you should aim for a distance equal to the width of your thumb between your longest toe and the tip of your toe box. Also, Make sure the height of the shoe box comfortably fits your toes. Moving down, you’ll find the midsole, which is the thick layer of technical foam or rubber sandwiched between the upper and the outsole. More specifically, the midsole is the materials that sit above the outsole and below the upper. Midsoles are another important part of the shoe. They provide cushioning while controlling excessive foot motion (pronation or supination). Most of the shock absorption and cushioning is provided by the midsole. The cushioning properties are usually attached to or embedded within the midsole. Most midsoles are typically constructed of foam type compound commonly known as EVA, or polyurethane. EVA stands for ethylene vinyl acetate and is the most common commercially mass-produced midsole foam used in running shoes. In general, EVA is softer material due to its lightness and more cushioned feel. But it compresses, and breaks down quickly, losing rebound after constant impact. On the other hand, polyurethane is heavier and more durable than Eva. But a few shoes have polyurethane as the midsole. Furthermore, some high-tech midsoles are made with non-foam technologies, such as airbags or GEL, to increase protection and durability. The outsole is the threaded layer of rubber on the bottom your trainers—the portion of the shoe that makes contact with the ground, providing traction and durability. Hence, this is the part of the shoes that shows the most wear and tear. Most outsoles have treads for traction, multidirectional flex grooves for flexibility, and provide protection against rocks, dirt, etc. For trail runners, the outsole is the most important layer to consider. There is a broad range of outsole types to choose from. Outsoles are usually made from carbon rubber, blown rubber, or a combination of the two—all of which offer different levels of durability and traction. Runners looking for a sturdy pair should opt for outsoles made with carbon rubber (same material as tires). Carbon is the more durable, but it’s also stiffer and heavier than blown rubber. But if your priority is flexibility and a “softer feel” shoe, then blown rubber outsoles are exactly what you need. These are more cushioned, more flexible, but not as durable as carbon rubber.